Every wine-growing region has its own emblematic variety on which it builds its own wine reputation in the world. For some that is Malbec, for others Pinotage, or Carmenere, etc. The Thracian Valley comes on this stage with Mavrud. Deserved or not, over the years Mavrud has managed to come first, ahead of other local strong varietal contestants as Gamza, Melnik and Rubin. Mavrud is an old Thracian local variety grown on our lands from ancient times. Mavrud has dozens of different variations, although according to specialists, the most popular are two branches, Branch 1 and Branch 2. They have different characteristics and ripen in about ten days apart. The early ripener (Branch 2) is more valuable because of smaller bunch and darker color of the grape skins. It gives extractive and bull bodied wines, while the other (Branch 1) has larger clusters, diaphanous with bigger grains, less color and sweetness, respectively yielding thinner structured wines, not so dense and colored. Mavrud wines are in general quite extractive, high in acidity and often with robust tannins. Young wines feature aromas of black and red berries, tea, and fresh herbs, while the oak aged ones display chocolate and coffee nuances, combined with earthy forest tones, tobacco and leather. The best Mavrud specimens are unquestionably wines with enormous aging potential. There are many historic facts about the qualities of the Mavrud wines. Over the centuries the glory of the so-called “PATRIARCH MAVRUD” wine has been renouned. In the past this wine was made by the monks. Influenced by the Georgian Khaheti technology, the monks actually buried the wines from Mavrud in the ground in large clay vessels and drank them only on special occasions. Another legendary wine from this variety, whose fame is still alive today, is “Stanimashka Málaga”. That wine had been made through evaporating part of the must to 30% reduction, then the densified must was returned to the vat and thus stopped further fermentation. The resulting sweet wine was left to age for at least three years in small oak barrels. The wine followed the technology Spanish Malaga, hence it had been named “Stanimashka Málaga”. A third historic technology applied on Mavrud wines came to us as funny story about wine, love and espionage from the 19th century. “The famous wine families of the 19th century, Somoolu, Manolkoolu and Tabaki used to make denser and blacker Mavrud wine than the rest. The competitors were envious but all their attempts to learn the “secret” were in vain. The “secret” was finally revealed by the means of “industrial espionage” with a love twist. Often in the espionage the lead role play beautiful women, one such beauty catch the attention of the young Manolkoolu, successor of one of the three famous wine families. Bribed by the competition, the Beauty promised the young Romeo, that if he teach her how to make wine thick like his father’s, she will marry him. The head-over-ears in love young man whispered her the secret and next vintage not only the three big families’, but all others large wine merchants’ wines as well were denser and darker. The secret was in adding 5% oven-baked and crushed gypsum during the alcoholic fermentation. We now know that the cast helps reduce the acidity, enhances the color and densifies the wine. The other, more decent legend of the brave boy named Mavrud is associated with Khan Krum, the ruler who gave Ancient nations the first written laws, among which the one banning drinking and imposing to grub up vineyards in our lands. “The legend tells how in the times of Khan Krum lived a poor widow named Ilaya, alone with her infant son. In her yard grew a vine which she decided not to uproot, as the Khan demanded, because the vine could save her from poverty and help her feed the child with its grapes. One night she picked the grapes and hid them in a wooden vessel in the fireplace. Since then, if the child cried, she gave him a big grain. Soon, however, the bees, wasps and flies appeared together with a pink foam on the surface of the wooden vessel. The woman realized that unintentionally she had produced a sparkling red wine. Continued to give her boy a sip every now and then and so he grew big and strong. “You really killed my lion “, said the Khan and asked him who he was and where he came from. The young man told the story how his poor mother fed him with grapes and wine. The Khan called Ilaya and asked for the name of her son. “Mavrud is his name”, she replied. From this day forth Khan Krum ordered new vines to be planted from Ilaya’s vine and the grapes were called MAVRUD. So Mavrud was rooted again in his native Thracian land. 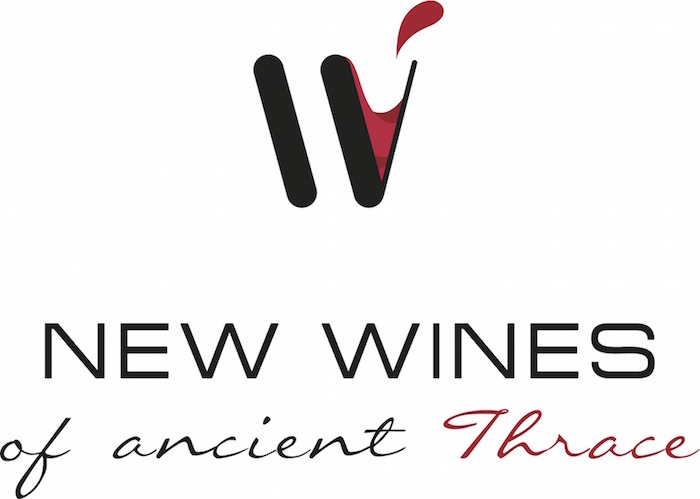 In 2018 in Houston will have a chance to taste these legendary wines, which will be brought there by the Bulgarian Wine Export Association’s on EU funded New Wines of Ancient Thrace promotional campaign. Cheers!